I'm not sure...But it really wouldn't make sense to make a new mold for a character they already have a mold for, would it? 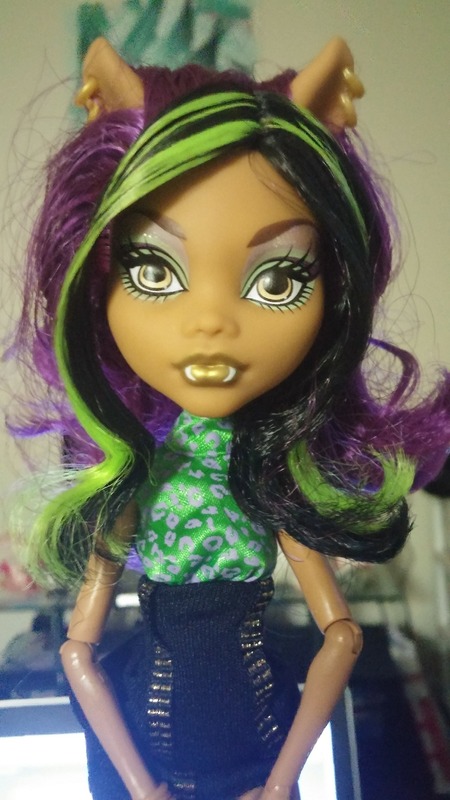 I've had this Clawdeen for months, just took a picture of her because I'm looking at rehairing her (greasy, nasty hair on this girl!) and omg... I'm not just imagining horrible wonk, right? It's there, right? I can only seem to see it on my phone. Wish I could invent a paint technique where slips like this don't happen. Not MH, but this is the cutest oops I've ever seen on a toy. 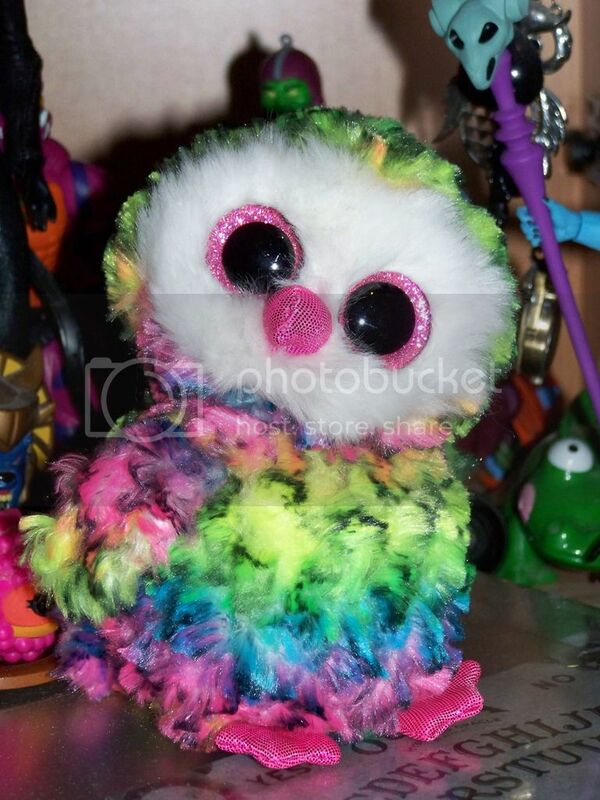 Owl is meant to look like this. Dead things, Mikey! Dead things!!! Danbo, the eyes look even, it's the different sized pupils that look wonky. Don't you hate it when you don't see the wonk right away. Oh yeah, that seems easy enough to fix by rounding out the pupil a bit more? 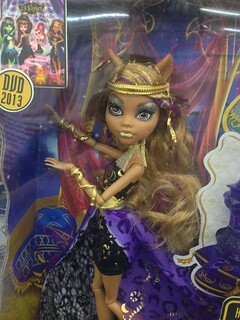 Or you could make her a Pirate Clawdeen and use an eyepatch!! Arrrrrgh, matey!! 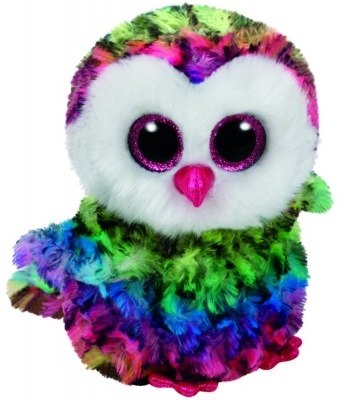 That owl is adorns! Both versions are cute! 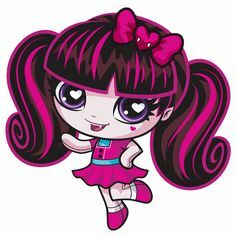 I think it looks disproportionate because the left eye (Clawdeen's right) was printed too high and so it is warped by the curve of the eye. 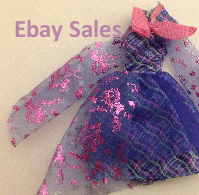 I've seen it happen quite a bit and the sister 2-pack Clawdeen is notorious for wonk and bad glue seepage. The owl looks so cutely confused! Oh, I see. 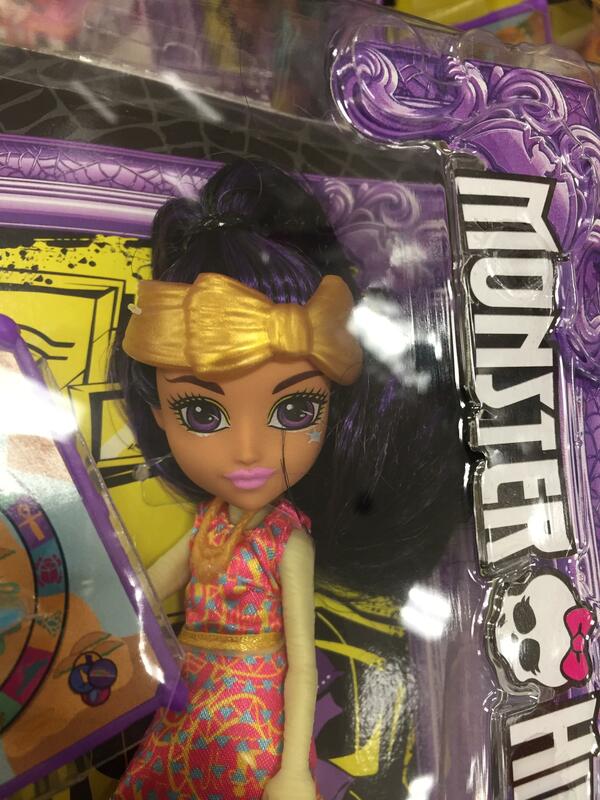 I wondered if glue was a big problem for this Clawdeen, but didn't think about how wonk might be. Looking at the bald doll right now, her right eye is printed a little higher than the left, and her right pupil does need to be rounder. Still, I've already decided to keep her and rehair her. Got colors picked out already to match the faceup. I was going through my phone, deleting old pictures last night and I forgot about these "gems." Ariel looks concussed, while I guess you can't have eye wonk if you only have one eye, right, Hello Kitty? Hello Can anyone help me please? 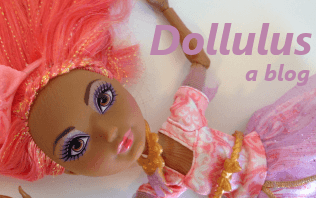 I´ve always had high tolerance to doll makeup wonk until yesterday when I saw my newly bought Posea seems to be very wonky, so I've been looking at my dolls since and it seems like some of them are wonky too (eyes or lips). That's, like, a lot of dolls, almost two dozens and there may be even more. Would be extremely grateful if someone more expierenced confirmed and/or overtuned my fears. Pictures are under spoilers to prevent annoyment and save your traffic. Sorry for the quality. 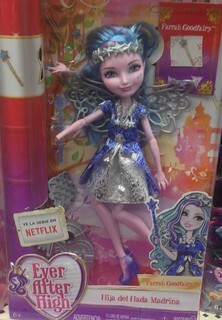 Sarkans, I'm no wonk expert, but I don't see any egregious wonk in your dolls. Your Elle's power button is even centered and all! 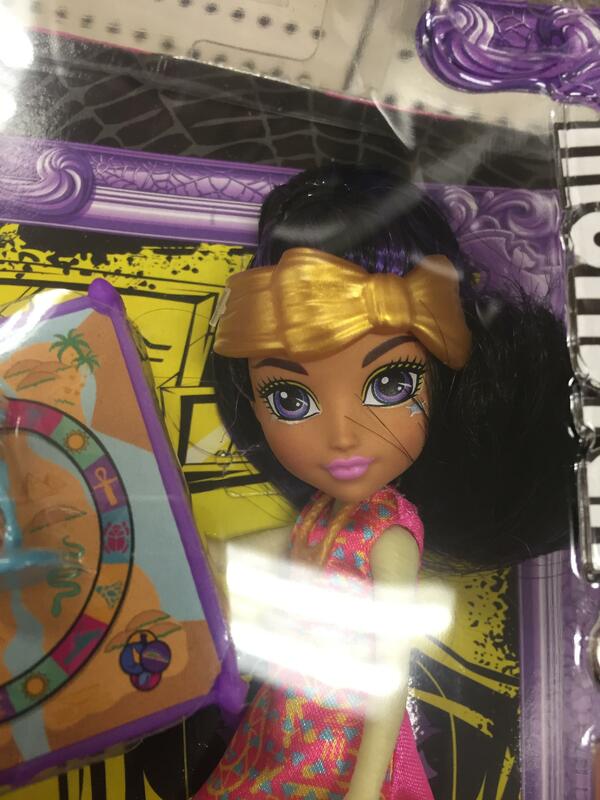 Maybe Basic Budget Frankie's green eye is bigger/wider than her blue, but that's all I noticed. It's easy to become a little paranoid with wonk after you first see it, but I think your dolls are fine! 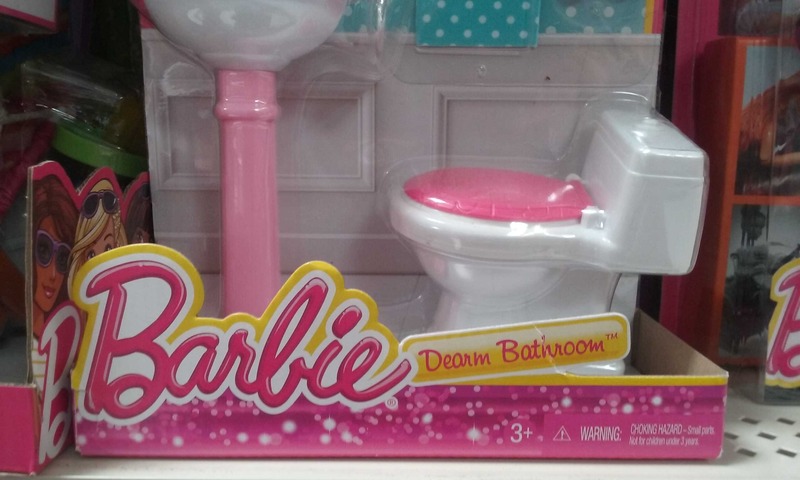 I'm not altogether sure I want to know what a "dearm bathroom" is. Oh wow! What a huge mistake hahah. Great find! save t hat! it'll probably be worth a fortune later on! I feel like that logo should be "Frankie" instead of "Barbie". She probably would enjoy a de-arm bathroom. You win everything forever. That was amazing. I passed. Hopefully I find another less wonky one, one day..
Guys, inspect your Pharrah dolls closely before buying....she has some of the worst wonk eyes I've ever seen.